My 99 Vortec block certainly wasn't "fine". As evidenced by the thrust bearing being a 0.0005 under set of halves. I don't beleive that GM ever changed their tune on the gen 1/2 small block assembly. I doubt they have to this day. They adjust the clearances as needed with mix/match bearings and if you want to rebuild one using a single box of standard bearings, you best run a line hone on it. And never trust ANY machinist on their "word". Regardless of their age, experience, or any other metric. ANYONE can make a mistake. How you avoid mistakes is by having multiple verification steps using multiple people with separate tools and sometimes using multiple techniques. I don't care if the lord himself came down from heaven and blessed the block - I'm not installing the crank till I see the clearances myself with my gauges. 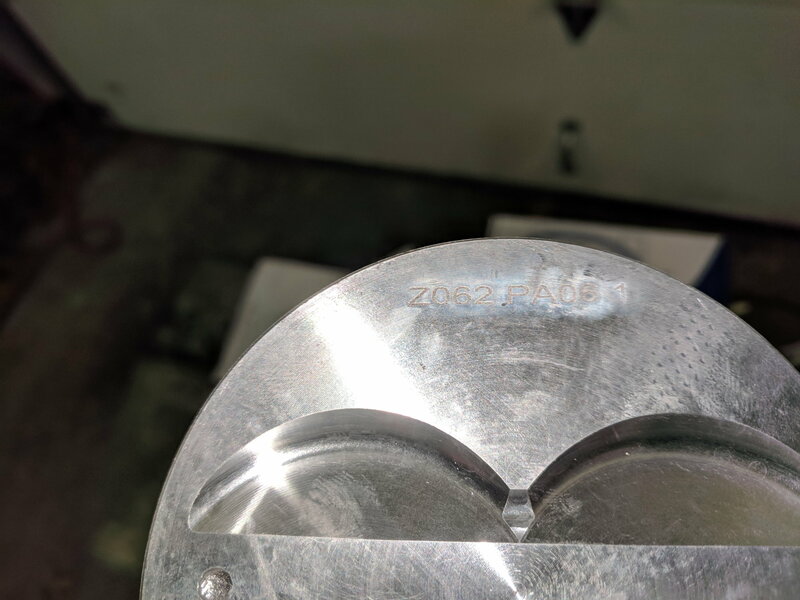 Also - sorry but I don't buy anyone being able to find a 0.00025" (half of a 5 tenths under/over set) variance with a straight edge and feeler gauges..... not happening. Did he use a new set of bearings and check it with a proper bore gauge? Did you give him bearings for the setup or did he supply them? If no bearings have been put in the block and checked I find his conclusion difficult to believe. 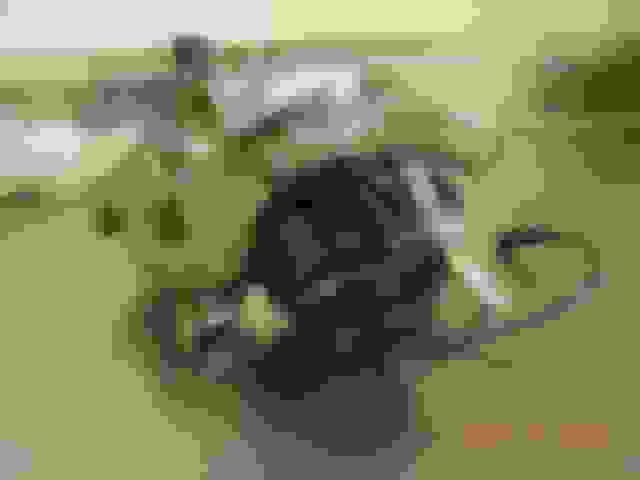 Last edited by GeneralDisorder; 01-29-2019 at 11:06 PM. Well, in a few days I'll check it once my stuff comes in. How do you propose checking alignment with gauges? You can check size but now how they align with each other. i trusted Carl with my machine work and took basic parts 600 hp over what they were designed and built for (800). Lol i get what you are saying but thats the point have having them do it...so you dont have to spend money on the tools else i’d do it myself. Yeah.. If I'm paying an expert I expect that they expertly are doing what I paid them to do. The machine shop is in business to make money, surely he would make more doing more machine work for me. He said the mains were perfectly straight. It depends also on the kind of shop doing the work. You aren't likely to get the same level of results between a facility that specializes in racing engines vs one that is more of a jobber shop. Of course there are exceptions but my money goes to the specialist. Agreed. And when you consider how many race tracks we have around here, I think we're good. You guys running electric water pumps? Thinking about ditching the cam drive, running a double roller timing chain, and installing an electric water pump. Not sure how familiar you are with the LT1 internals, but it runs a special timing chain set with a worm drive gear. Has another gear and bearing pressed in the block with a splined shaft that turns the water pump. The timing set is only available in a belt-link design, and they flex big time. Guys get rid of the whole setup and run a L98 true roller timing set, plug the cover. You take the stock water pump housing and press the impeller and shaft out, and then bolt the drive motor onto the front of the housing. The pump cover is on the front of an LT1 water pump which makes it really easy to service/swap motors. You also plug the weep hole. 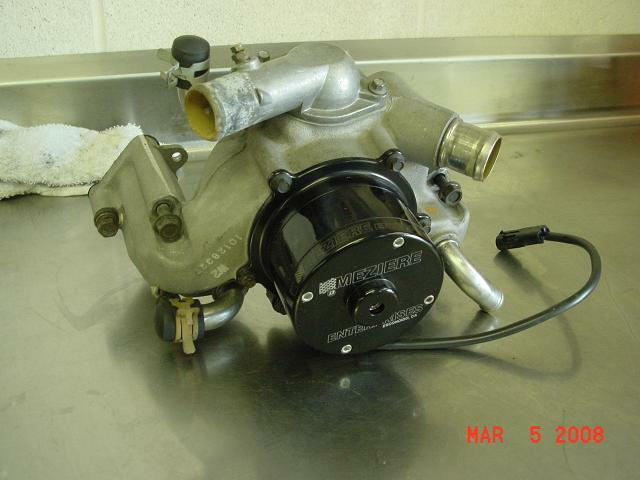 The mechanical pumps are notorious for the seal failing and coolant taking out the optispark. But of course, they probably do fail more often. But then it's only a few bolts and you don't mess with the block seal/housing. My mechanical pump failed last year and puked on the opti. I took apart this motor, plus 2 other LT1's in my shop and the play in the timing set is obnoxious. You can rotate the cam several degrees in either direction!! I may need to hog these chambers a little bit. Compression is coming up at 11.4:1 with 54cc chambers.. This is with a zero deck block and .039cc head gasket. Maybe I should go to a thicker gasket. 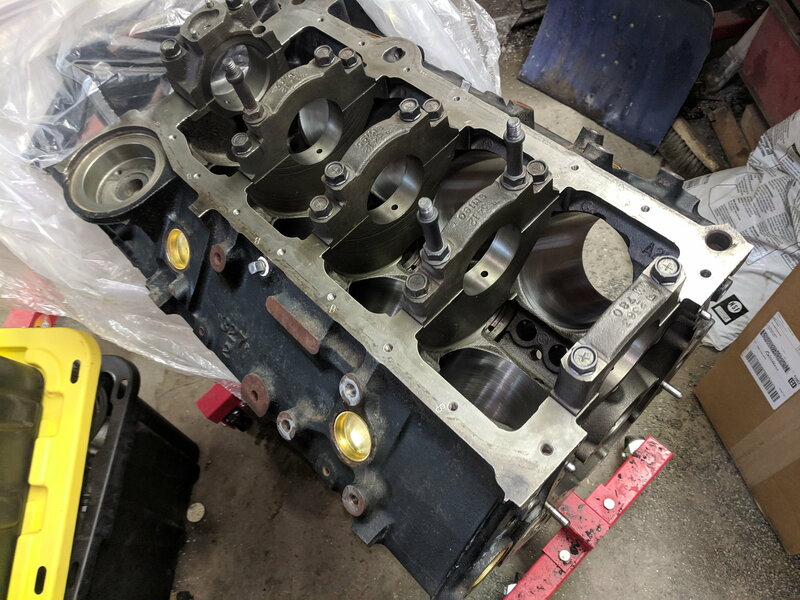 Block is exactly 9.00" and so is my piston height with this eagle rotating assembly. I'm a little more cautious than you are my friend. That's all. I've been going back and forth with Lloyd Elliot the past few days. Really nice guy. I finished porting a set of '561 heads. I may ship them for him to do a 4-5 angle valve job on them. What we're going back and forth about is if the 2.0/1.56 valves are actually worth it for the power level I'm trying to accomplish with the car. Probably not. In theory, if I ported the runner and blended the bowls properly they should flow about 250/160 with a good valve job on a 1.95/1.50 valve. At 11:1 ish and the cc-305 cam that should be around 450 crank HP wouldn't you think? Considering the "Sledgehammer" 350 made 447 chp with EngineQuest Vortecs and a single pattern [email protected] 108 LSA, you should be close or maybe better with your higher CR. Yea I have the impression now the larger valves are not the way to go on a stock head. The stock chambers really need to be contoured to "unshroud the valves" which adds considerable work. Can't confirm any flow numbers but bowl blending only going to add to the stock 220ish cfm flow and with a larger cam should really bump the power. I think most street driven cars will be more fun with the higher velocity of the smaller valves. Just my 2 pennys here. Myself I won't deal with Loyd Elliot as he has been confrontational and uses personal attacks if you don't agree with what he says. That's been my experience with him and I won't do any business with him. He seems like an OK guy to me. I'm not really a head guy so I can't imagine arguing or debating with him or anyone. I've got books, I've read them, I do what they say. It will either work or won't, but for a low dollar street car I'm not concerned. For anything that's even remotely close to a race car I'd just use AFR heads since I'm an AFR dealer. I kinda like this car and I figure if I keep it going I won't be tempted to buy a new c7 or a used c6. I looked at my heads and the casting number is 10123374. I looked very close and it's last three numbers are 374. I keep calling those 324s for some reason lol. I ported both sets, and Lloyd is right the '561 end up with a bigger runner when I was done. Going out for a valve job this week. My eagle rotating assembly should be here Wednesday, so I should have the bottom end assembled by the end of the week. I'll be interested in your critique of the Eagle rotating assembly. And also how it all goes together for you. I'm interested in how you measured the port volumes? I know you asked about that. What did you find out? 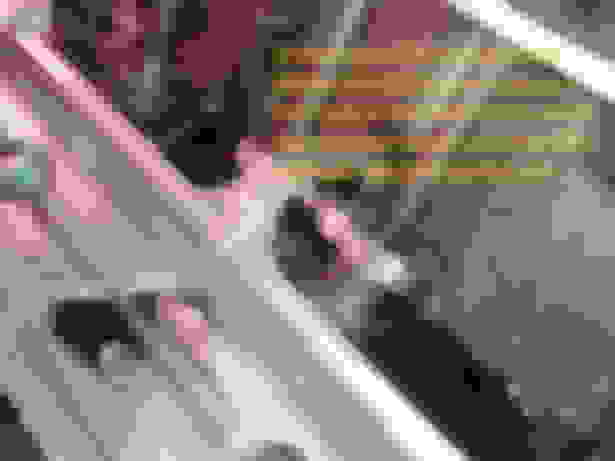 Last edited by Orr89RocZ; 02-04-2019 at 11:41 AM. It's a rather misleading measurement and using it to compare heads is kinda useless but I found how to do it in one of my books. You basically put the valve in it and fill the runner with a liquid. But this will report total size, which accounts for areas where there is also no flow (like the floor). A better measurement is the average cross section area and roof height, and then the bowl to valve ratio an inch down from the seat. I'm not going to go through the effort of having them flow tested or anything. Most of this whole porting and revalving thing was because I was bored. I'm sure the car is gonna have plenty of power either way. Eagle parts look good. 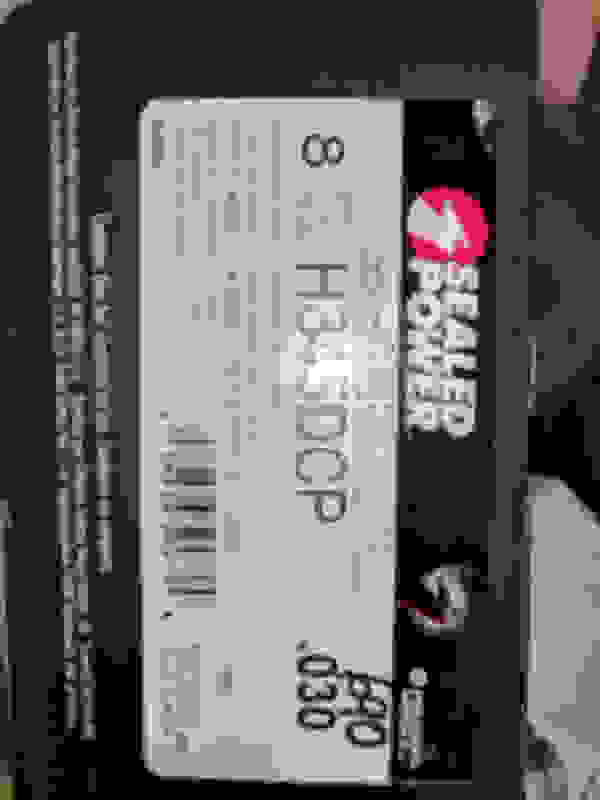 Sent me h345dcp pistons, bushed rods. ​rods. They forgot to send me wrist pin locks though, so I guess I'm not assembling it this weekend. Sent out the heads for 5 angle job. 2.0/1.56 lt4 valves. Did you not line-hone it? This is what I've learned about line honing. And this applies I suppose to not the high zoot ultimate race engine build but perhaps it does. A SBC making 700 HP can twist from corner to corner by 1/16th ". How in the world do you account for that? Under running conditions the bearings aren't close to lining up. What's more, and I quote from a well published engine builder, " The crankshaft is bending. It's riding in a bed of oil. No matter how much force there may be, the potential loss in torque that occurs is due to the force times the radius at which the friction is acting. If the coefficient of friction is zero, then there is zero loss in torque." More or less paraphrased. If, when installed and the main caps torqued to spec and the crankshaft spins freely, then move on. 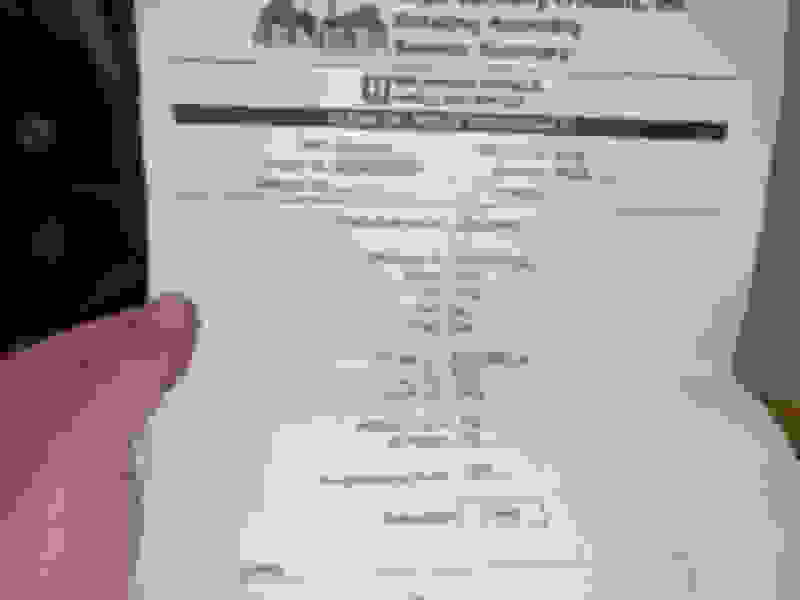 EDIT: It goes without saying that clearances must be checked. Last edited by skinny z; 02-07-2019 at 09:14 AM. Looked at that assembly on Summit racing. That's dirt cheap for a balanced assembly! Bushed rods and floating pistons too.. can't go wrong for the price. Gotta measure everything this weekend and make sure my clearances are good. Doing an spec flywheel and 6 puck ceramic spec stage 3 clutch. Spending about $4500 this winter on it. I guess that isn't terrible. What is your HP goal and what RPM limits again? The reason I ask is because of your connecting rods. About 15+ years ago, I spoke with Eagle's tech dept regarding rods to replace Chevy's "pink" rods in a 302 Chevy (3.00" stroke with a heavy piston) and the total weight had to be 541 grams. This was at the time when the aftermarket was just beginning to make better replacement rods but there was still NOT a lot of choices, like today. Anyway, I was told that these rods would handle 500 HP @ 7000 rpm and were designed to be BETTER than a pink rod. So I bought them. Recently, I saw that they are now rated for 6000 rpm and saw some bad ratings about the NEW ones that have cap screws. Mine have the ARP Wavelock bolts. The 302 engine spins easily to 8000 rpm (on my engine test stand with a steel flywheel bolted to the crank). Do you think your SIR rods will be strong enough for your build? I just threw out a few sets of PINK rods and some "X" rods (out of some mercruiser engines I stripped down) to the scrap metal guys. I just can't wrap my head around paying to recondition rods, then paying to have pistons pressed on them. 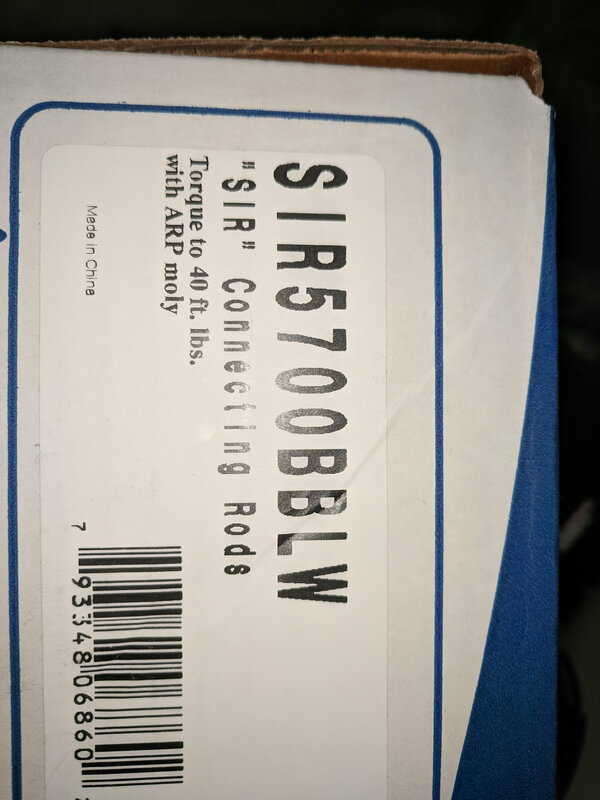 The 5140 "SIR" rods are not as good as the 4340 aftermarket rods, but I'm willing to bet they are better or at least as good as the "X" rods that I used to run in sub-600 HP motors. My target is around 450 crank HP on this car. Nothing major. although, I have the same rods in my blown 412" and that hasn't come apart yet. Yes, the machine shop didn't want my old pink rods. And the cheapest aftermarket rods look so much better that it doesn't make sense to recondition the stock rods to save only 20 bucks. What kills the deal for reconditioning the old rods is the price of for bolts - $70 or more - but that's the most likely failure point. Also it takes some time and tools to polish the beams. Nobody in Las Vegas does mil spec shot peening either - at least I can't find them while the aftermarket rods come beened. My only worry with aftermarket rods is are they accurately/truly sized at both ends? A co-worker just bought a rotating assembly package and the rods had to be machined on the big end. That's the problem of buying over the faceless internet - there's no one to talk to to avoid this. Sometimes it's better to order through local shop that can make it right when that happens. Eagle sir rods are kind of the bottom of the barrel, They are not stroker clearanced so you have to run a reduced base circle cam which will increase lifter pressure angle which is not a good thing. Check housing bore on the big end disassemble retorque and check housing bores they will change seen it to many times. Most prebalanced kits the rods have never been taken out of the sealed packages and the piston boxes still have the factory seal. Like any rod the pins bores always need to be clearanced to your wrist pins. The block does not look like it was stroker clearanced. .. a reduced base circle cam which will increase lifter pressure angle which is not a good thing. . I'm trying to find more information on this and especially how it might be applied to a roller lifter. The shortblock I'm contemplating buying would require a reduced base circle cam but I'd rather not go that route if there a durability or other issues. If your using a 3.750 stroke go with a stroker rod that does not need a reduced base circle cam, There are a lot of make believe stroker kits out there. BEWARE. cam journal diameter minus 2*lobe lift is the largest base circle size you can have. That would give me 1.1” which seemed to be fine with a moderate aggressive lobe. Same lobe family but bigger duration .400” lobe with the compstar rods fit fine and worked well with my morel lifters. That cam was also near 1”. Or 1.068 by the formula. Sbc reduced base circle i think is when you get into the .900’s inch diameter circles. To address this specifically, this is how I came to find out this pre-built shortblock would require a reduced base circle cam. I'm becoming fairly well versed in what's need from a parts point of view but the ultimate machining and assembly are the stumbling blocks (at the moment anyway). I appreciate the replies although they don't address specifically what the issues are with the smaller diameter base circle. I can see the obvious however the detrimental results don't seem to play out the same way when a roller lifter is substituted for a flat lifter. is the example, I couldn't build for this price and it seems a solid pile of parts. The machine work is the real variable and having something assembled and delivered is worth quite a bit in my book. The shortcoming is that I can't change something specific like piston profile while wrestling with the compression ratio. Sure I can measure, assemble and fit everything but at some point I gotta get a shop involved anyway (despite working in a a machine shop with nearly a hundred CNC machining centres, mills and lathes). Target. With my heads it's going to an RPM limited build so 6500 RPM max and 450-475 CHP is an achievable result. . (I'd prefer to build to 6000 RPM max with a 500 RPM overspeed provision). Endurance orientated too as at some point there has top be an open road or mile event I'll participate in. Maybe the road course down the highway as well. Is a reduced base circle cam going to kill this engine in the long run? Last edited by skinny z; 02-22-2019 at 09:07 PM. 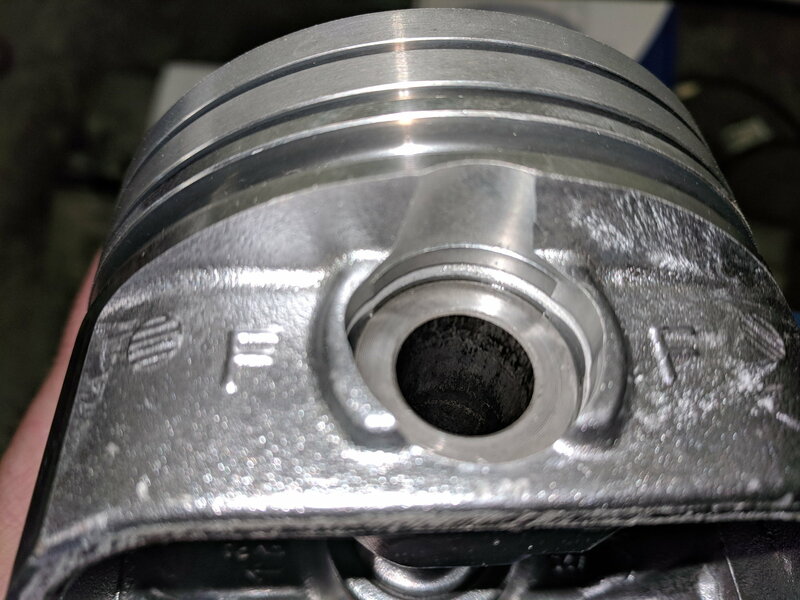 Use of a small base circle cam allows more connecting rod to cam lobe clearance but it also makes the lifters sit a bit lower in the block's lifter bores. 1) the upper edge of the lifter has a bit more chance of lifting the lifter retainer or dog bone keeping the lifters roller centered on the cam lobes. See picture. It gets very expensive very rapidly if your lifter on that cam lobe does not stay in its intended alignment on the cam lobe or the valve spring allows that lifter to loft or float and loose contact with the cam lobe surface at higher rpms. 2) Verify that you lifters match the lifter bore and oil passage geometry. 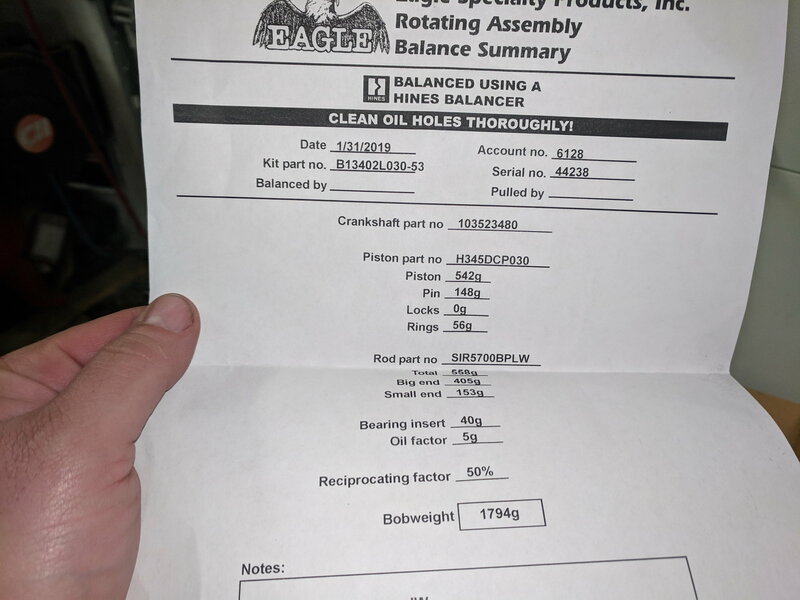 The problem is if the oil "band" drops low enough in the lifter bore that it actually comes out the bottom and just allows oil to leak out into free space(not inside the lifter bore). That creates a pretty large internal leak/oil pressure drop. Comp Cams makes lifters with relocated oil bands for this situation. 3) as Orr89RocZ said about the lifter pressure angle - small base circle is harder on the lifter axle and the lifter bores. It's the oil band that's most disconcerting here. While I have retro-fit rollers (Comp short travel) and subsequently don't have the dog bone issue, the oil passage mismatch may mean another set of lifters further compounding the cost of the build. As for the pressure angle, this is something I was discussing last evening. It's also something that's not in the realm of the common man to calculate and then determine how hard on parts it would be. Kind of a crap shoot here. It's always something. Thought i might have had a good deal on a well built shortblock that wouldn't be unreasonably priced but it can be seen how the costs could stack up. Hmm! Has anyone used a reduced base circle cam to run OEM roller lifters (dog bone style) in a non-roller block? Problem has been lifter sticks up/out to high to work correctly. Curious how far a RBC cam would move the lifter down? Please don't spin this to using the shorter V6 lifter! I don't even want to go there! But I have seen a thrust plate conversion for non-roller blocks to use the OEM stepped nose roller cams. Using stock spider style roller lifters and dog bones is much cheaper than a retro--roller install. This should give you an idea. Lifted from an online tech paper on reduced base circle cams and the expected results. 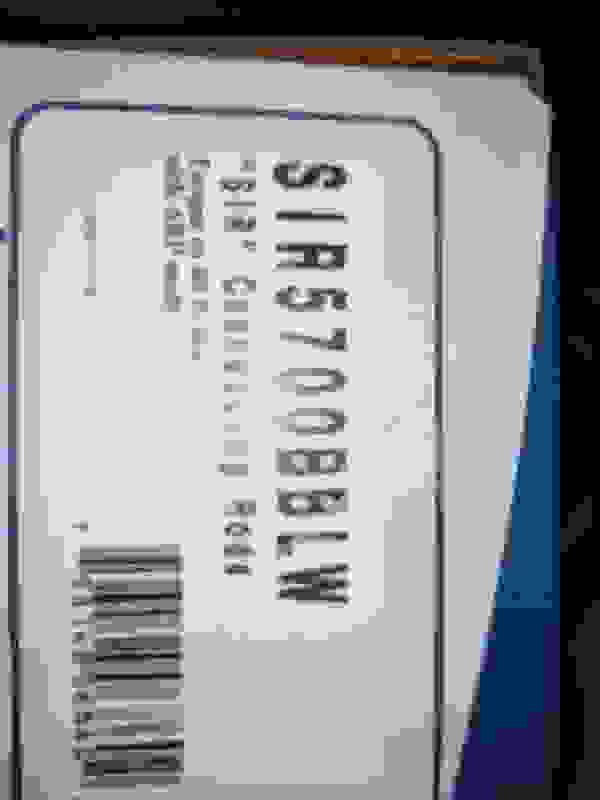 "Many times today, a customer will think or throw out the term “.900 base circle”. The thinking here is whatever the cam specs are for my stroker engine build up, I need a .900-inch base circle cam. This is not always the case. Have you ever thought about what determines the base circle size of a camshaft? The two main things are lobe lift and journal diameter. For example, a .420-inch lobe lift roller cam should finish around 1.028-inch base circle size. When you request a .900-inch cam, you are taking .128 inch of base circle diameter away, dropping the lifter down an additional .060 inch in the lifter bore. 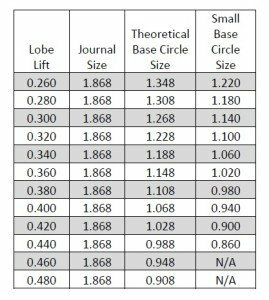 Below is a chart that shows the different base circle size for specific lifts. These apply to a 1.868-inch, standard journal Small Block Chevrolet." The question now is: How do you find what the base circle is of one cam compared to another? Example would be the XR288 I have. I'd need to know it's base diameter and then compare to the advertised RBC cams with .900". I can't say finding the originally diameter is easily done. If this chart is a accurate guideline then the XR288 with a lobe lift of ~.350 has a base circle of 1.168 (taking the average between .340 and .360.). The math says .268" in the difference, half of which is .134". That's a considerable drop. Last edited by skinny z; 02-23-2019 at 11:42 AM. Thx for the table Skinny. I can estimate I could drop lifter only like a tenth inch on a cam with a common 0.5" valve lift. Not much for what I think is needed here to use dog bone rollers. The variable here is what the original base circle is. That table is from Comp so using it is a guide for a Comp cam might be a reasonable assumption. Other brands of cams, maybe not so much. That said something you posted caught my attention. How would go about retaining the "spider"? 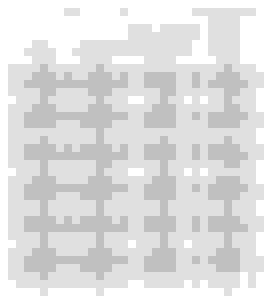 A non-roller block would not have the cast in bosses for the supporting hardware. Thanks Skinny. That is the point I was trying to make. And just to point out for those that didn't catch it, that chart says LOBE LIFT, not valve lift. The rocker arm ratio IS NOT part of this. Last edited by NoEmissions84TA; 02-24-2019 at 12:29 AM. I haven't done it but I have seen someone drill and tap the cam tunnel for this. I think they used some sort of spacer also to raise the spider.